If you’re searching for “tree removal“, “affordable tree removal“, “local tree removal companies” or “tree removal near me” in Scottsdale, Mesa or Tempe, Arizona, Liberty Tree Experts can help! 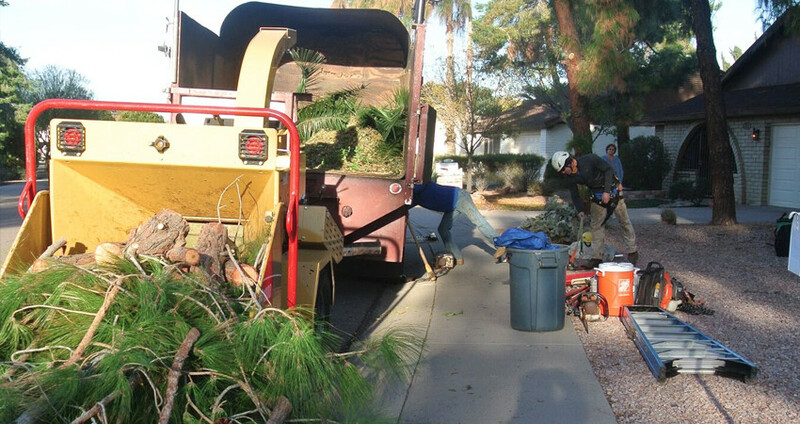 We also provide tree removal services throughout the entire Phoenix valleywide area. Palm tree removals in Scottsdale are one of the most popular tree services we provide. Palm tree removals are performed with safety in mind. We know your time is valuable and want to ensure that we will get your residential or commercial palm trees removed in the quickest and safest manner. We also make sure and cleanup before we leave your property. Not only can we remove trees from your property but we can also remove tree stumps. Tree stumps can be an eyesore, attract pests and can be a risk for an accident if some was to trip on it. We provide stump removal services to get rid of any stumps on your residential or commercial property. Stump removal is included in our residential and commercial tree removal services. There are 2 main reasons that you should consider cactus removal: When the cactus is dead or sick from diseases or pests OR when the cactus has outgrown its own root system where there could be a risk of damage to the property or injury. We provide cactus removal for: Saguaro Cactus, Prickly Pear cactus, Cholla Cactus, San Pedro cactus and the Barrel Cactus. Normally Liberty Tree Experts are advocates of keeping trees around, and will help you in your efforts to maintain their optimal health and beauty. However, there are cases where the removal of a tree is advisable or desired. • Safety & liability concerns — Structural problems, if they have gone unnoticed or ignored for too long, may be expensive if not impossible to correct. A Certified Arborist can usually foresee signs of structural weaknesses early on and suggest measures to avoid such problems as splitting branches or the dropping of limbs. The layman, on the other hand, won’t readily recognize such problems until they are severe & pose danger. • Storm damage — While nature can be unpredictable, you can greatly decrease your tree’s risk of dropping limbs or falling over completely during episodes of severe weather by having it serviced by a Certified Arborist regularly. Failure to keep a tree properly thinned can spell trouble because densely canopied trees offer great resistance to heavy winds, and the force might be too strong to withstand. In rare cases, if done soon enough, fallen trees can be staked back upright. The smaller the tree, the greater the success rate of salvaging an uprooted tree. The larger and more mature the fallen tree is, the more expensive this endeavor will be, and the less likely it will work in the long-term. The majority of storm damaged trees are simply cut up and hauled away. • Decline of health — Whether due to inappropriate watering (either insufficient or frequent but shallow watering), poor soil conditions, pests or disease, if a tree suffers too long in a state of decline it will eventually reach a point of no return and efforts to revive it will likely fail. A tree that is dead or dying is hazardous because it is just a matter of time before there is breakage because dead wood becomes brittle. • Destructive to property — Sometimes a perfectly healthy tree can cause more trouble than a sick one. The natural growth of trees can damage foundations, cause cracks in block fencing or cement, wreck utility lines, wreak havoc on rooftops and pools. Consulting a Certified Arborist to see if such problems can be avoided or minimized without the complete removal of a tree is a good idea, but sometimes a tree is simply more trouble than it’s worth, and it ultimately comes down the priorities of the homeowner. • Renovation to property — Need a change? The addition of rooms to the house or redesign of landscaping may call for tree removal. Switching to xeriscape landscaping, for example, may call for swapping out lawn for gravel and replacing the water-hungry tree or shrub varieties with native desert species. Overcrowding of trees can be corrected with pruning, but not in all cases, so one may have to select which to keep and which to remove in a yard that doesn’t accommodate multiple large trees. Otherwise, nature itself may do the culling as large trees shade out their less established neighbors. Some landscaping changes can be motivated by efforts to improve property value: as controversial as this may be, one may decide that a tree is simply too ugly or messy to keep around. • It just needs to go! — If you have stewardship over your own trees, we will assume that, despite Dr. Seuss’ The Lorax messages, you have your own personal reasons to decide a tree needs to go. Some trees are harder to maintain than others, and preferences are diverse. With how often properties are bought and sold, we acknowledge that the mismanagement of a yard very often is not the fault of current residents. We feel that there are too many benefits to sharing our existence with trees to take the decision lightly and may try to dissuade in some cases, or at least will be curious enough to ask why you’d like to see a nice tree go. Ultimately, though, we will respect the wishes of our clients. So, it has been determined that the tree needs to go. Now what? First of all, you might want to check with any local councils to make sure you have permission to remove a particular tree. If there are restrictions of any kind, it would be good to avoid a fine. If your HOA requires a certain number of mature trees on the property, you may need to plant a young tree to grow up large enough to fill this role before removing the tree to be removed. Second, please be prudent in whom you hire to perform the removal. Unless you don’t already have a Certified Arborist that you know and trust, it is common to obtain estimates from up to three companies to compare services and pricing. While it may be tempting to just go with the lowest bidder, and surprisingly, selecting the highest bidder does not necessarily guarantee satisfaction either. It is always best to select a company based on its reputation. Here are a few questions to ask while making your decision less of a gamble: Will there be a Certified Arborist on site during the removal process? Do you trust the company to take accountability for accidental damage or injury incurred because of the tree removal? Accidents happen occasionally even with the best tree companies. Does the company care about customer satisfaction enough to make things right? How much experience does the climber have with technical removals? What impression do you get when reading online ratings and reviews of the company? Were you referred to them by a friend that was happy with their services? Does your general feeling of the company inspire confidence in their experience level and ethics? Does the crew wear safety gear (helmets, gloves, ear & eye protection while operating machinery)? Most likely if they practice personal safety measures, they will be safety-conscious in other areas of operation. Even rather large trees can be dropped quickly and with relative ease depending on their structure and where they are (what is around them). A tree with mainly just a single central trunk can be brought down using the most basic felling techniques if there is ample space to drop it into. In contrast, some trees require a considerable amount of expertise and skill for safe removal. Technical removals call for extra precautions in order to avoid damaging surrounding structures in tight spaces (such as the average residential yard in cities). Most of these extra precautions involve controlling either the direction or the speed of descent as the tree limbs are cut. Equipment used for these purposes is mainly rigging: ropes, pulleys, come along, cranes, etc. The most technical removal can take a long time to execute because limbs need to be cut up and carefully lowered to the ground one manageable piece at a time. The more experienced the climber, the more tricks of the trade he’ll have up his sleeve. Hopefully, he will also be humble enough to recognize and admit when a tree removal exceeds his level of expertise. In some cases, you might have to shop around a lot to find someone willing to tackle a very technical removal or one who possesses just the right equipment to make the job more feasible. Large dead trees with limbs that dangle over houses are scary for an event he boldest climbers, as are palms with large beards of past years’ growth. Even with extensive experience, tree felling can still be downright dangerous! Please do not attempt a tricky tree removal yourself unless you’ve had appropriate training; leave the tough jobs to the experts! We offer free estimates; you may be pleasantly surprised by the price. The average tree removal cost is about $825. In 2019, the cost to remove a tree ranged from $150 to $1500. Tree removal price factors depend on the height, size, condition, and location of the tree. The cheapest tree removal cost is around $150 dollars and is common in fallen tree removal jobs. The average tree removal cost in Scottdale is $825. 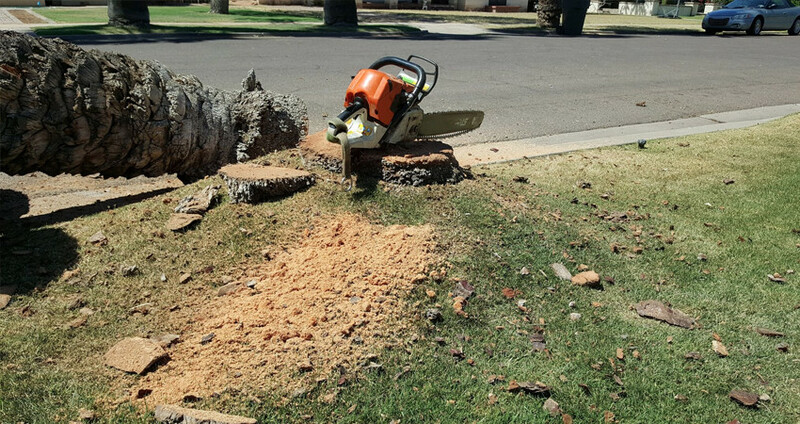 We provide tree removal services in Phoenix, Mesa, Scottsdale, Tempe, Chandler and more. Schedule your tree removal by giving Liberty Tree Experts a call today at 480-482-9374. If you are searching for "Tree Removal" anywhere near Phoenix, Mesa, Scottsdale, Tempe or Chandler, Liberty Tree Experts can help! We provide tree removal services throughout the entire Phoenix valleywide area.